Worship and Sunday School—During the school year, children participate in both worship and Sunday School every week. Each Sunday they are invited to be in worship until the children’s moment with the Pastor. Afterwards, kids ages 2 years—5th grade are dismissed for SS. Children can register at anytime. Bring this Registration Form with you, or fill it out when you first arrive. The First Sunday and the Third Sunday of the Month children will return to their families in worship before Communion, so that we can all share the meal together. We believe that baptized children are welcome at the Table. Vacation Bible School—A week of fun, friendship and learning the stories of Jesus Christ! We deck the halls and make some noise. 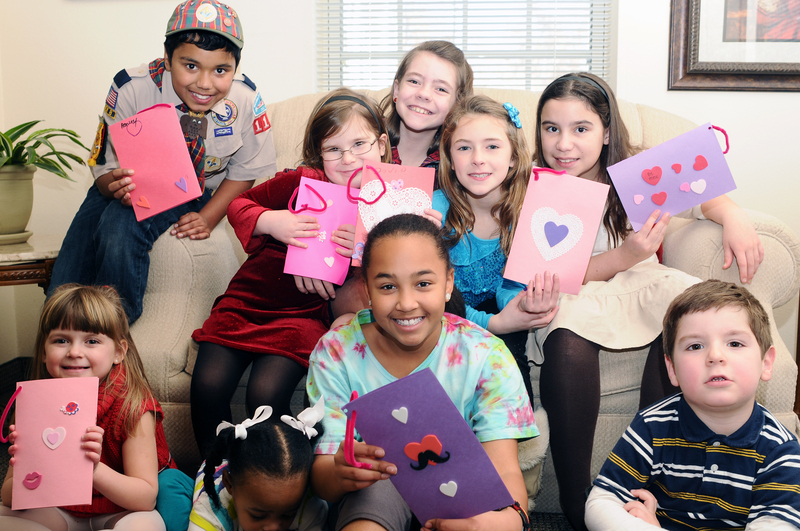 Service and More—Our children serve the community throughout the year with service projects like delivering Valentines, acolyting (age 10+), presenting the nativity play, and bringing the joy of Christ to worship. Nursery—Is staffed by a Pediatric Medical Technician for infants through 2’s. Our Nursery Director Zarena, upholds a calming and aromatic atmosphere to soothe your little ones while you are attending service. Age appropriate activities and reading are always happening within the Nursery. Feel free to stop by and acquaint your little ones! Safe Sanctuary—Trinity UMC follows a Safe Sanctuaries Policy which ensures the safety of our children, youth, and adults.